A Carpet Cleaning company is local and family owned, providing carpet cleaning and water & mold removal services across Arizona. Carpet Cleaning Pros Chandler is completely licensed by The Institute of Inspection, Cleaning and Restoration Certification (IICRC). We use professional deep cleaning equipment and tools with high PSI hot water extraction cleaning. We use Green Seal Certified® cleaning products to clean your home safely. 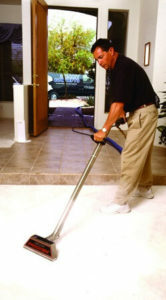 We have 18 years of experience in cleaning residential and commercial buildings across Arizona! Our company is 24/7 operated with emergency services. We are ready to help with urgent household water, mold and carpet damage. Our locally owned, family business has been serving southern Arizona for almost two decades. We are fully licensed, bonded and IICRC certified, which means we have the know-how and training to perfectly accomplish all the work and cleaning your home needs. What makes our company special is our commitment to excellence. We believe in a close relationship with our customers and want to work directly with you to ensure all of your needs are handled with the utmost care. It all starts with trust, so it’s important to us that our customer’s feel confident in our abilities. That’s why our customer service is second-to-none. Since we are based out of Southern AZ, we know how hard it can be when you’re looking for a trustworthy company. Our goal is to help clean your flooring in record time so you and your family can experience the benefits. That’s why our team is always here to help, 24 hours a day, 7 days a week. You can put your trust in us.